Experience the joy of riding a mountain bike amidst beautiful views of Dhauladhar Ranges, enjoy sight-seeing, cherish the nature closely and explore the hidden treasures. costumes and helmet will also be provided for the ride. The bikes are equipped with all safety gears like front and back reflectors and lights, reliable brakes (hydraulic disc brakes), suspension fork, strong frame and heavily treaded tyres for comfort ride. I want to do the ride, but I am not sure if I can? Don't worry. It's not tough. On the ride day, you will be given time to try your hands on the bike and see if you are comfortable. After the short try, you can decide if you are ready for the experience or not. In case if you decide not to, only ₹50 + GST will be charged and the remaining ticket amount will be refunded. ₹50 is charged to cover up for the cost of bringing the bike at the venue. How long the ride will continue? Estimated time is 4+ hours so that you can explore as much as you can but just in case if you want to leave early, that is possible. Note: No money will be refunded in this case, as you opted to leave early at your choice. Are there any rides with timings later in the day? Morning time is considered to be the best for bike riding. Nature is at its best during this time and as the day progresses, traffic also increases. So, it's recommended to start early to have the best adventure. In case of unfavourable climate like heavy rainfall, will the ride continue? If the climate is not suitable at all, you will be notified early. Make sure you check your cell phones for any message or update before you leave from your hotels or stays. We are group along with children, can our children ride as well? For customer-safety reasons, there is an age limit of 18 years as there may be little traffic on the road as the day progresses. 6. 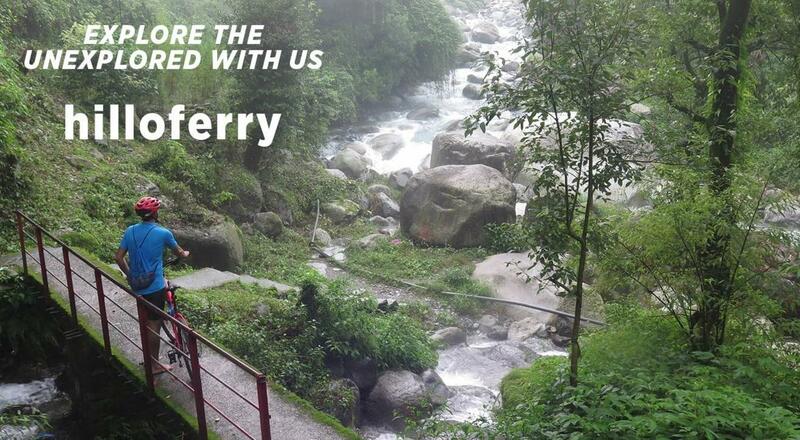 Venue is just half a Kilometer from ISBT Dharamshala.